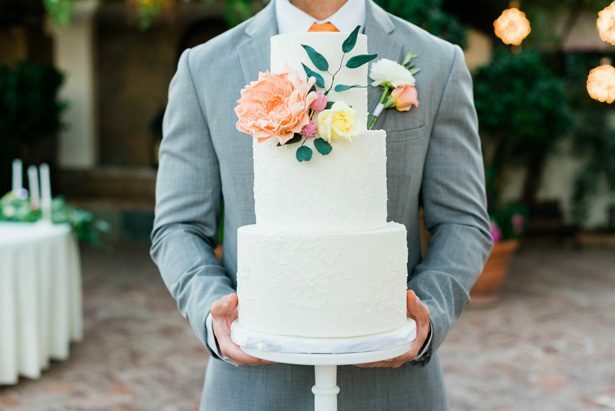 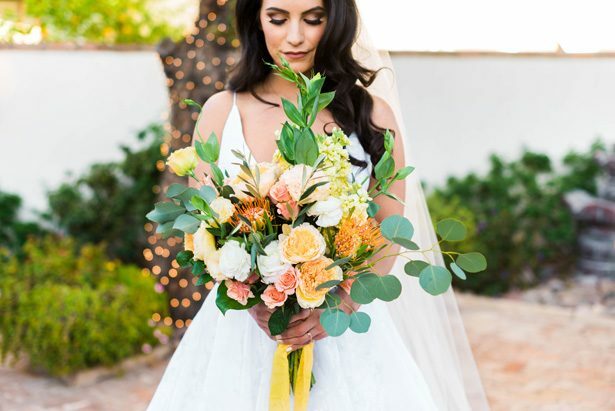 As we get into fall, this sunshine wedding editorial is the perfect inspiration with its warm burnt oranges and soft yellows — thanks to the “My Sunshine” theme, which was threaded through the design beautifully. 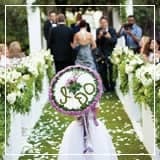 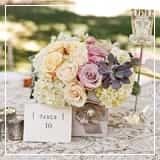 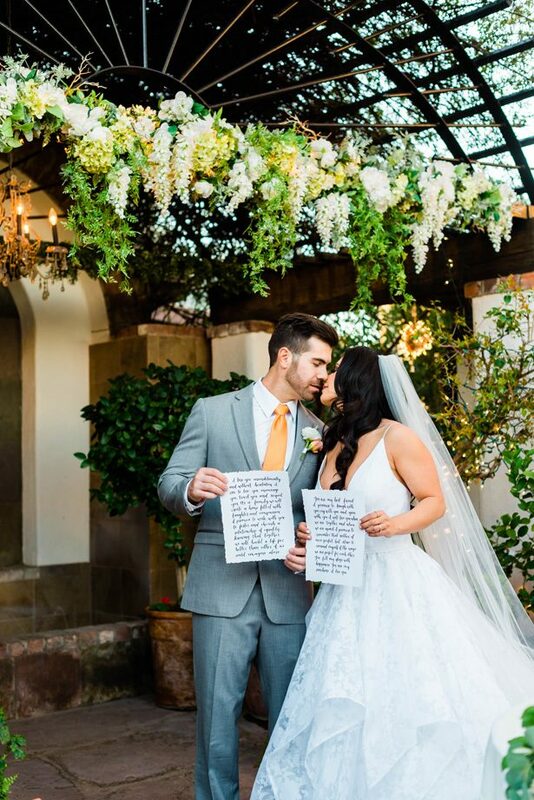 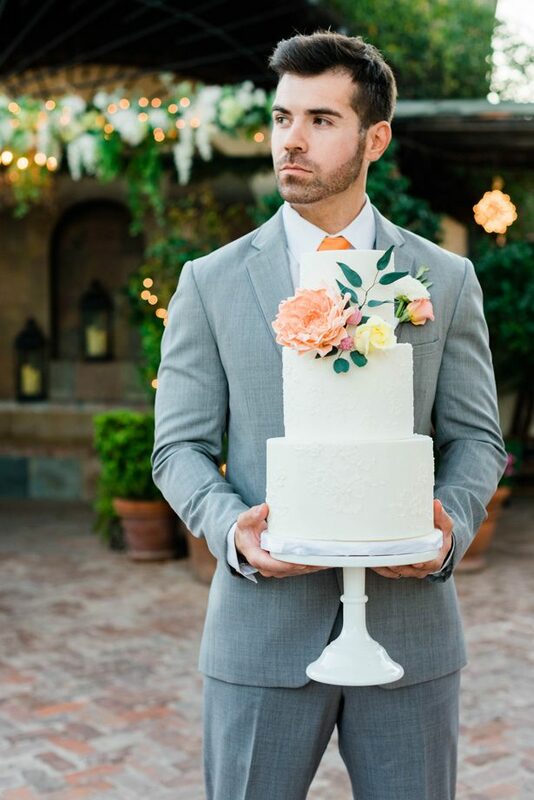 The statement tie of the groom matched the glorious bouquet from Glitter and Pearl, without ever feeling over-the-top or taking away from that classic, romantic feel. 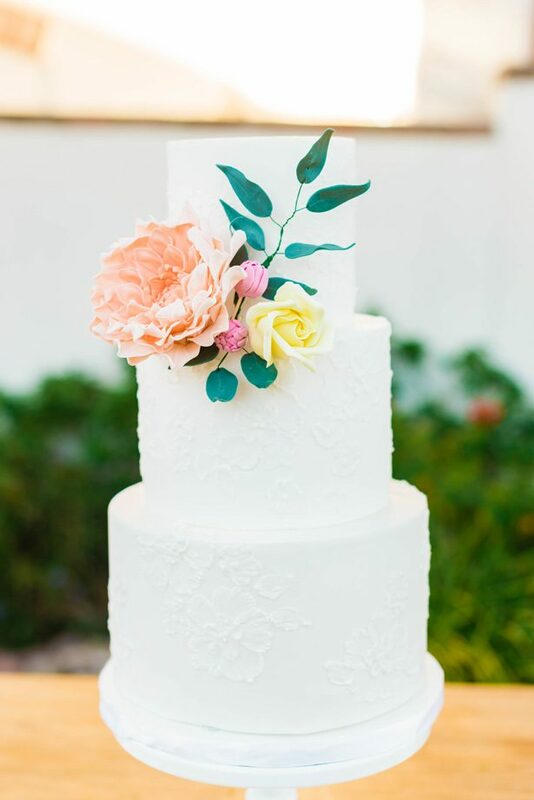 The bright yellow stationary touchers and floral details remind you of the last of the summer sun, while the oranges and lush greenery welcome in fall. 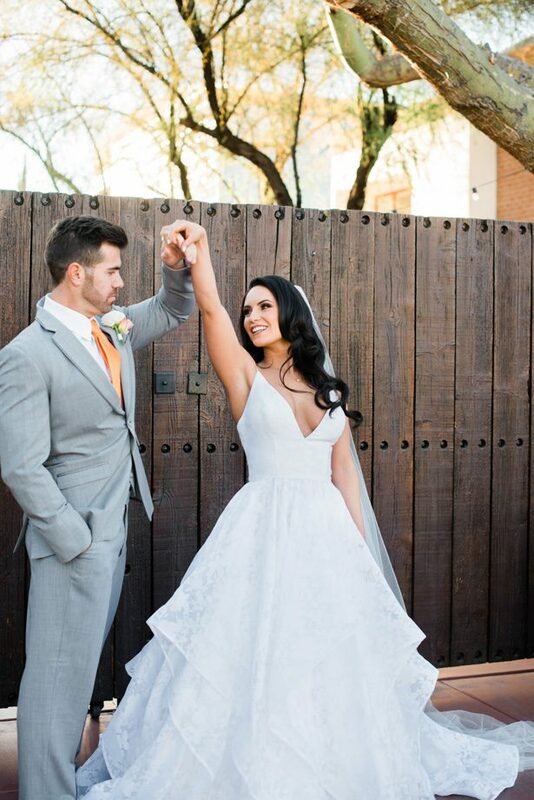 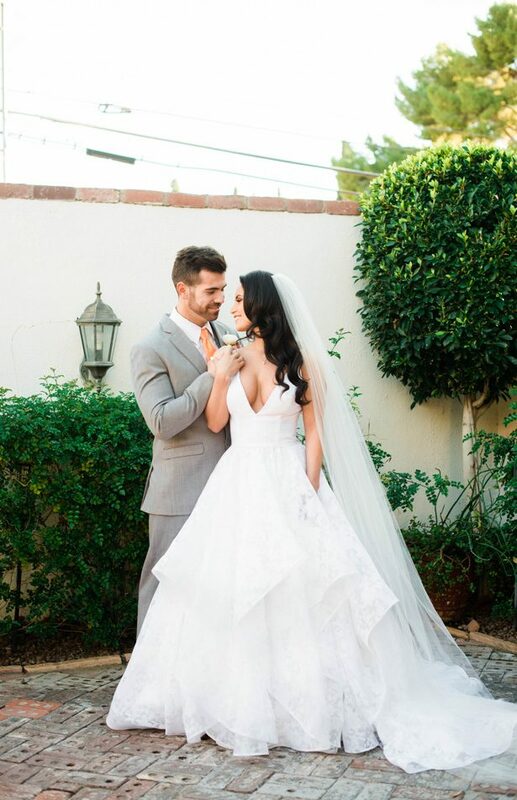 And of course, the bride looked absolutely breathtaking in a dramatic dress by Watters with floral lace and plunging neckline. 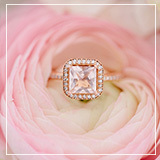 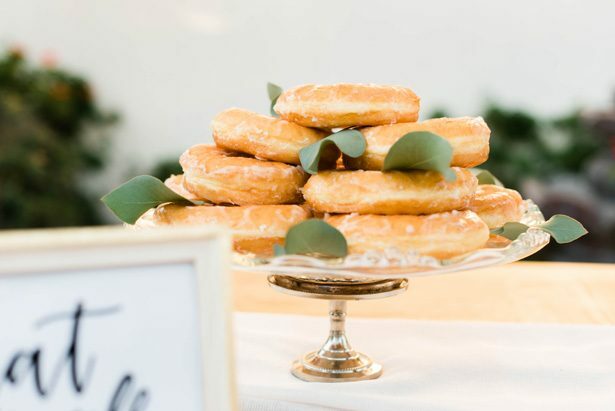 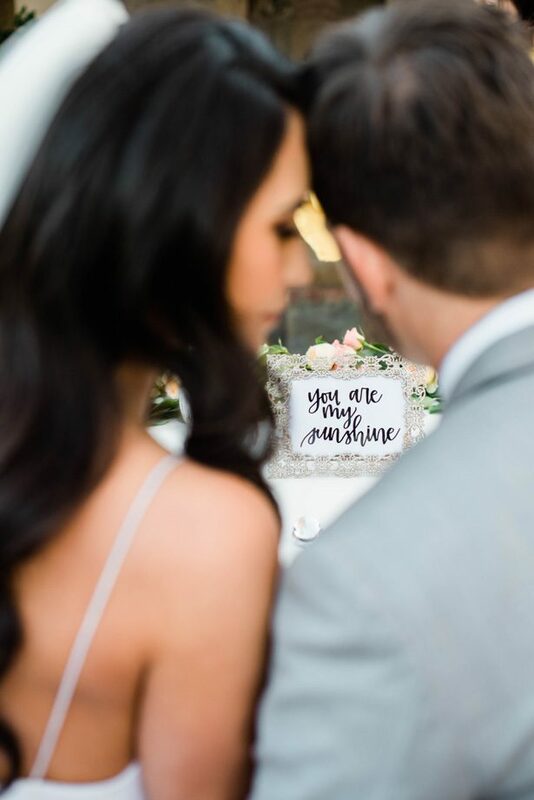 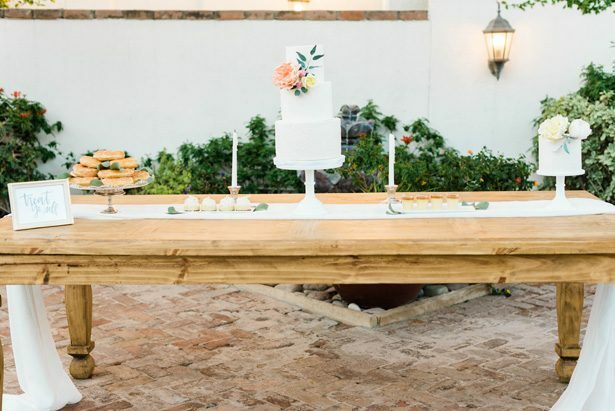 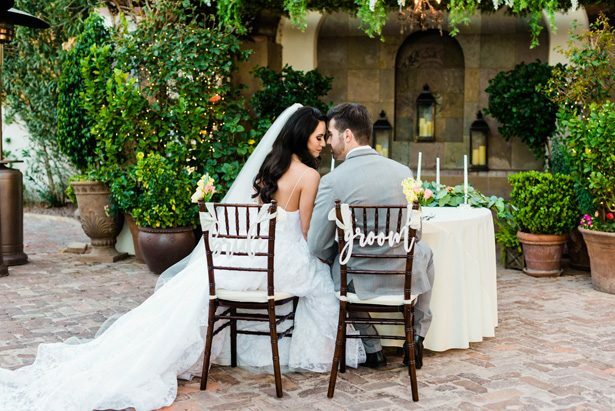 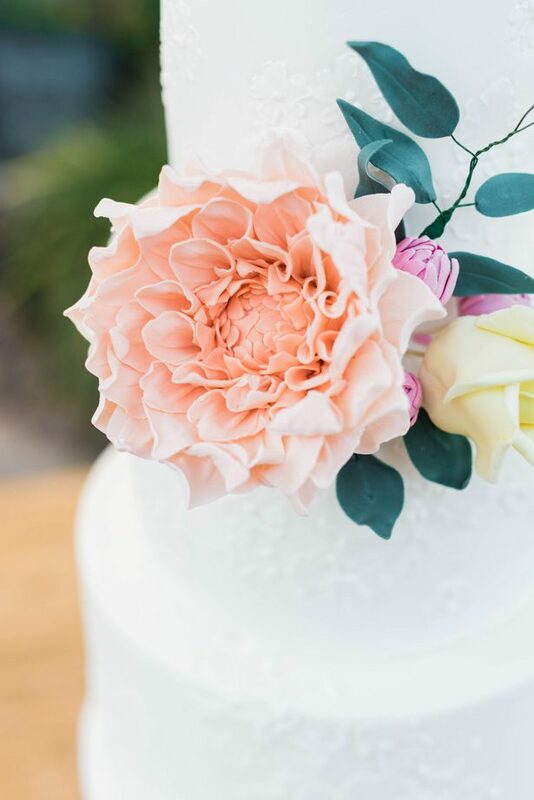 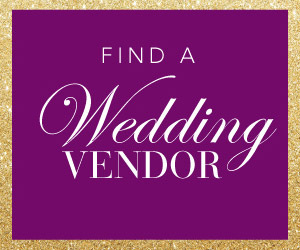 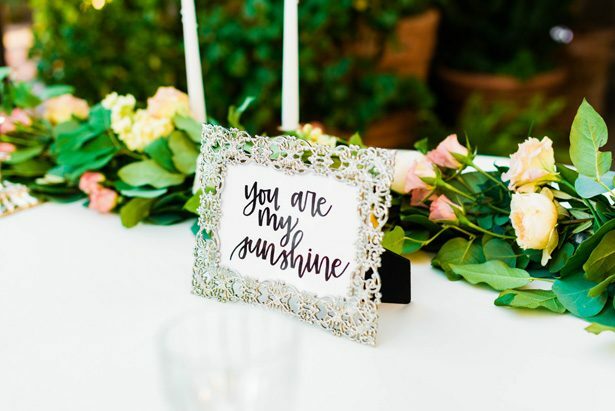 Scroll down for all the pretty from M.Hutchison Photography and see how they created a celebration of sunshine! 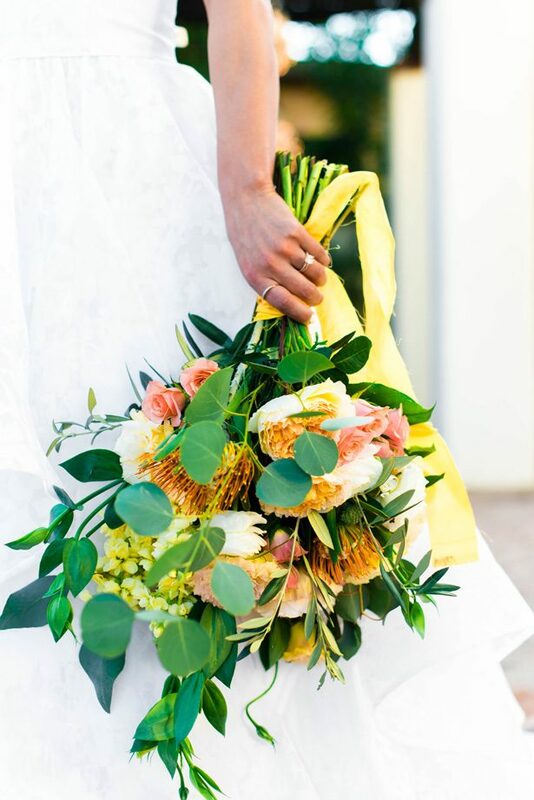 From the Photographer… “The inspiration for this design centered around my grandmother’s favorite color, yellow, and her (and my) love of florals. 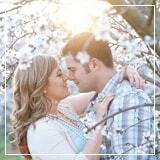 I wanted the florals to be the focal point of the shoot, and they were. 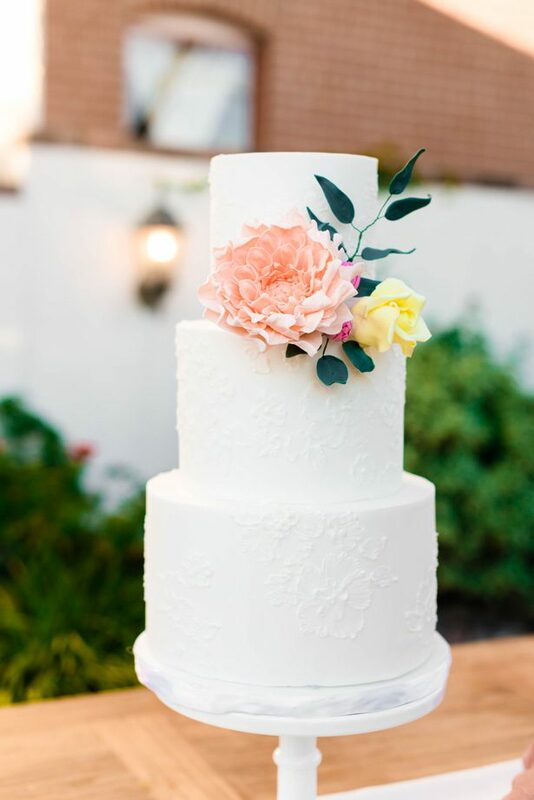 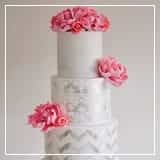 The florals came out in the cake, the stationary, and even in the lace of the dress. 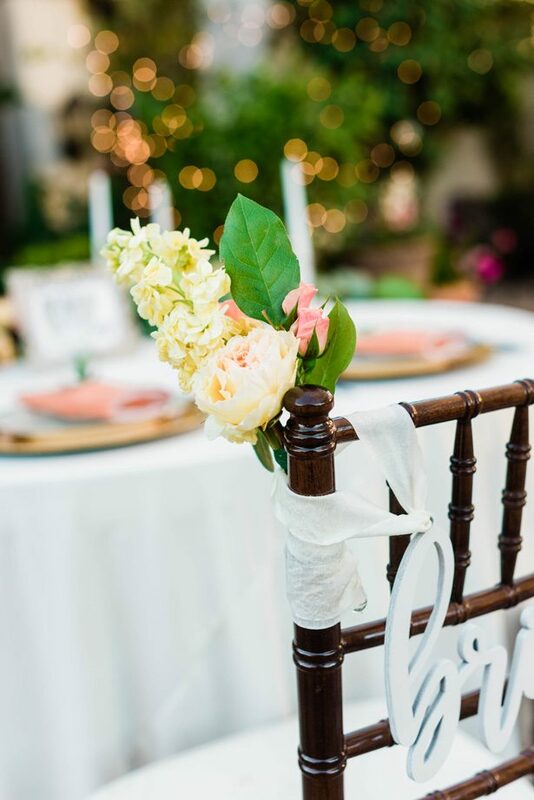 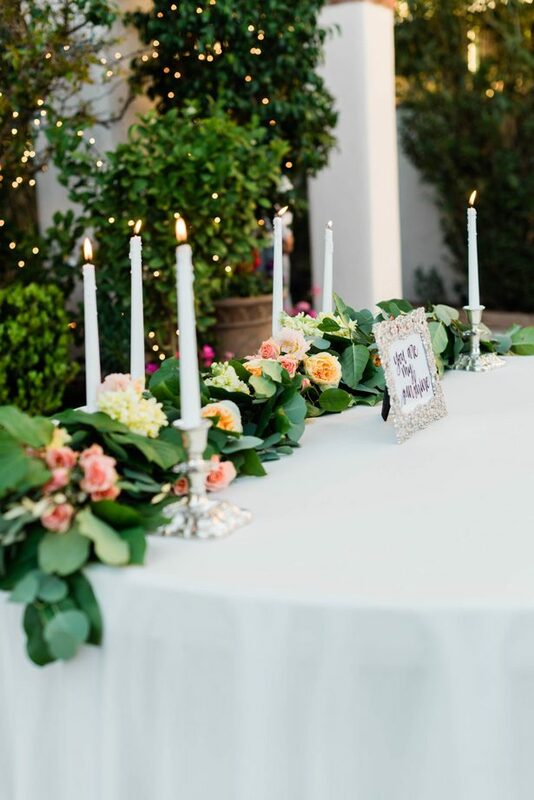 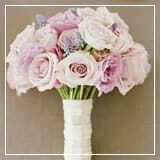 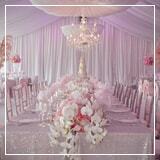 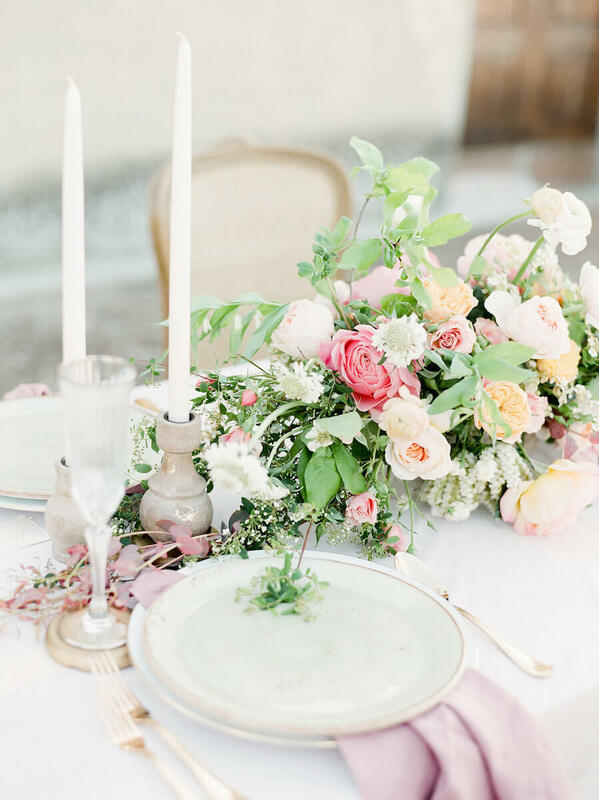 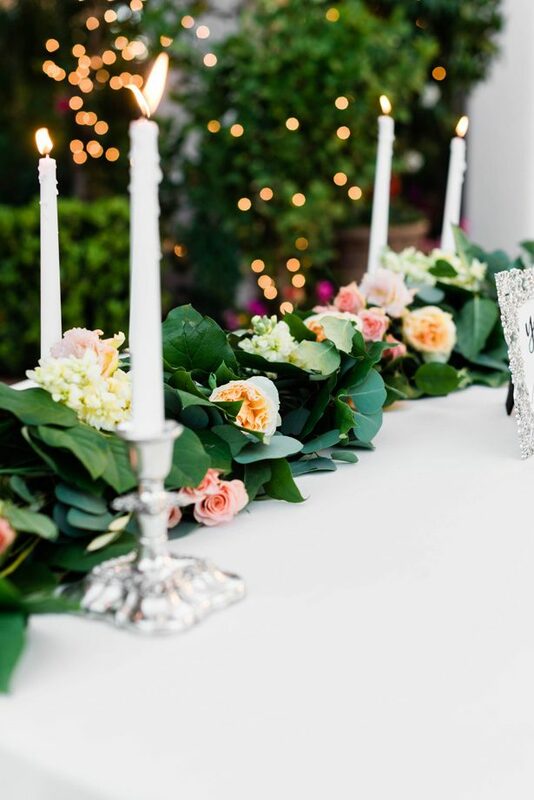 The live flowers were elegant and perfect for spring.” — Mina Hutchison, M.Hutchison Photography.